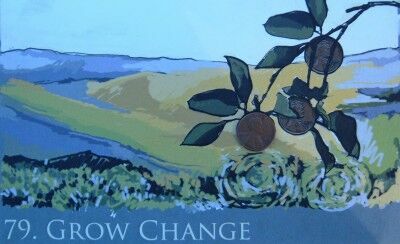 Inspiration / About the Art: The piece is entitled Grow Change which talks about not only the literal goal of your project, but also the larger concept of societal and individual change in our philosophies about life, each other, our interactions and our relationship to food. Also, I liked the words grow and change as sort-of synonyms of one another. The imagery developed very directly from the title of the piece and adds another dimension which is that as a collective society we have really become detached from our diet so the imagery is meant to invoke the idea of a direct human connection to the landscape and the bounty of the natural world. Specifically it is a landscape that is reminiscent of eastern Washington which is basically the bread basket of the northwest. Materials: Painted on a digital tablet in photoshop. Price: This piece is not currently for sale: There are great reasons to purchase Penny Experiment art. 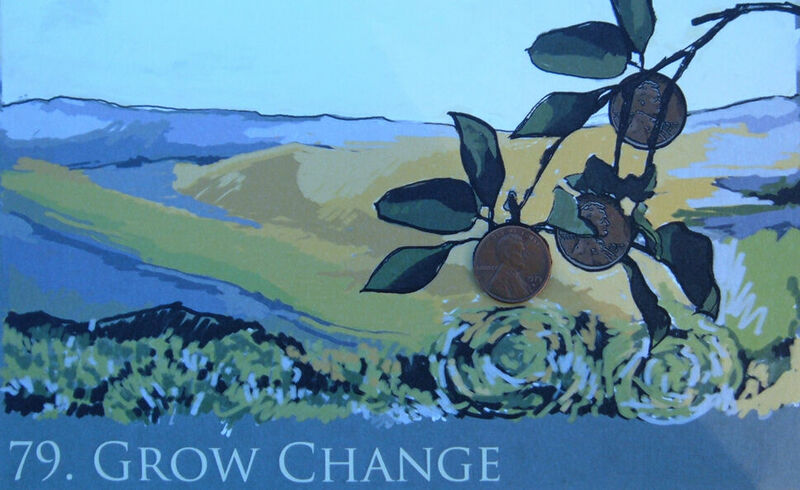 If you would like to purchase Grow Change #79 or other artwork from this 100 Penny Postcard Art series, please email me and I will put you on my list to inform when this series is for sale. This entry was posted in Penny Art, Penny Experiment and tagged digital art, eastern Washington, food bank, grow change, penny, Penny Art, Penny Experiment. Bookmark the permalink.